On offer an albumen print by noted forest photographer John D. Cress depicting a log train with virgin timber. 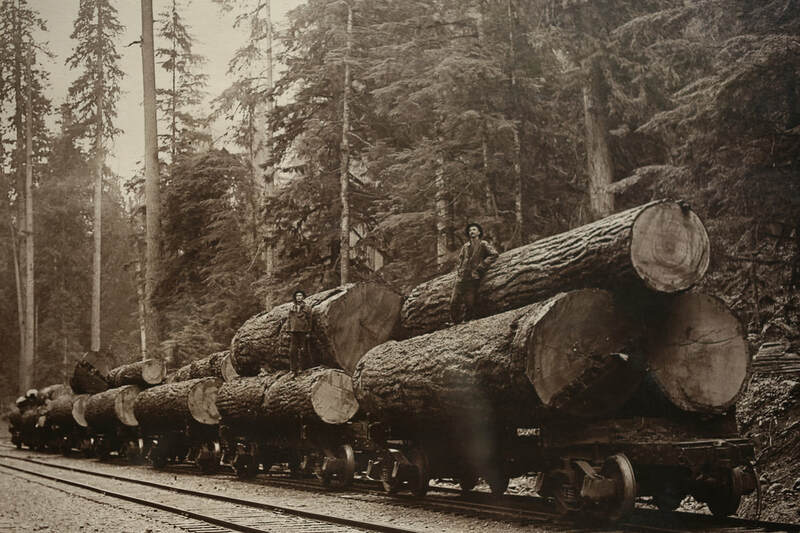 Cress moved to Seattle in the spring of 1912 and began specializing in photographing the lumber industry for advertising and magazines articles. 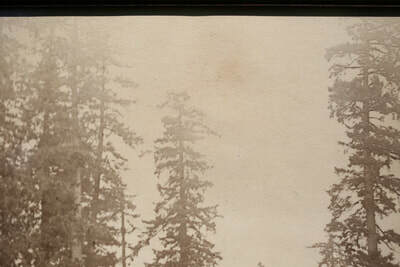 His average sized picture of these giant trees were captured on albumen pages that averaged several feet in length. Cress popularized large prints of forest scenes, many of which were displayed in the offices of logging and lumber companies. John D. Cress is considered one of the photographic pioneers of the Northwest and his work can be found in the Library of Congress, & several museums and collections. The work is imprinted with his stamp, as shown, at the lower left corner of the photo. 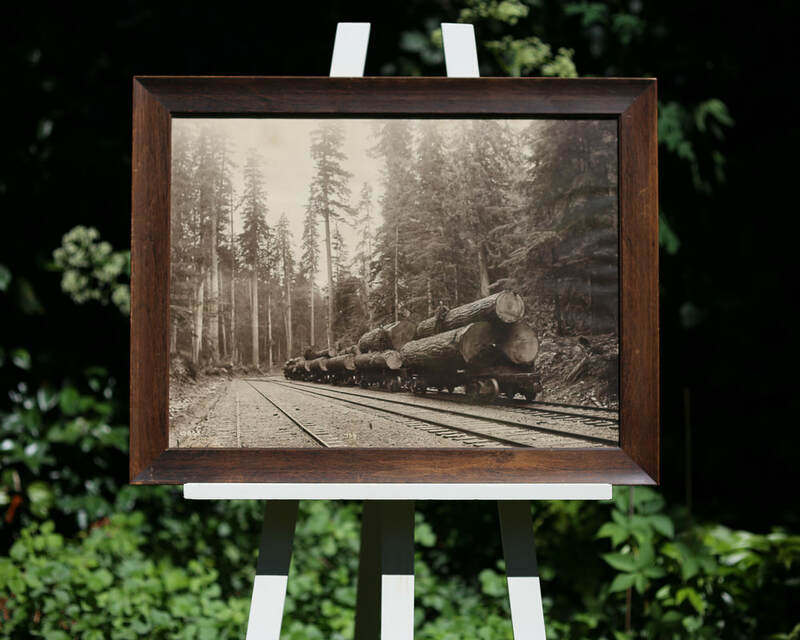 The albumen print is housed in its original stained pine or redwood frame with untoched wooden backing boards. 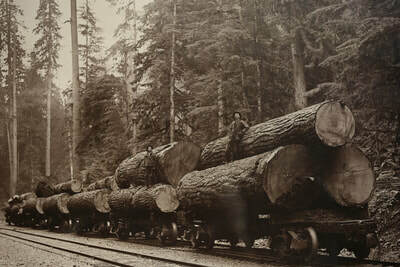 The photograph depicts a log train with virgin timbers. 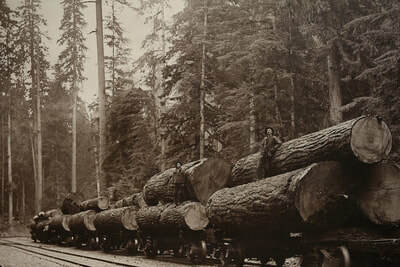 There are six sections of the train visible in the image, each with three logs on them. At least two figures are visible in the photograph. 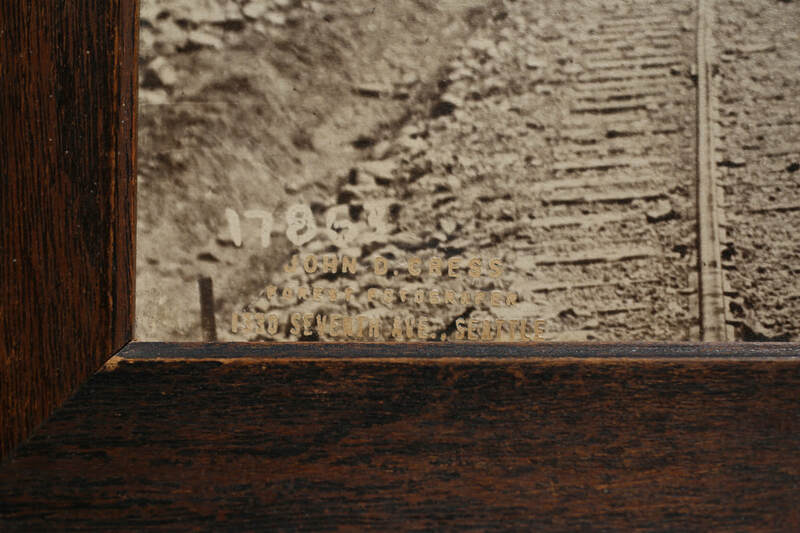 The photograph is stamped in the lower left: John D. Cress Forest Fotographer 1330 Seventh Ave Seattle and has the handwritten number 17863. The print is c. 1910s- 1920. This image was produced for the West Coast Lumber Trade Extension Bureau, a timber industry trade group. Original Cress albumen prints are exceptionally rare, this came from an East coast estate and has been well cared for. Condition: Excellent. Expected wear to frame, typical light rippling of print likely because it is not glued to a backing. This rippling is not a flaw just a characteristic of the paper. Nothing that detracts. 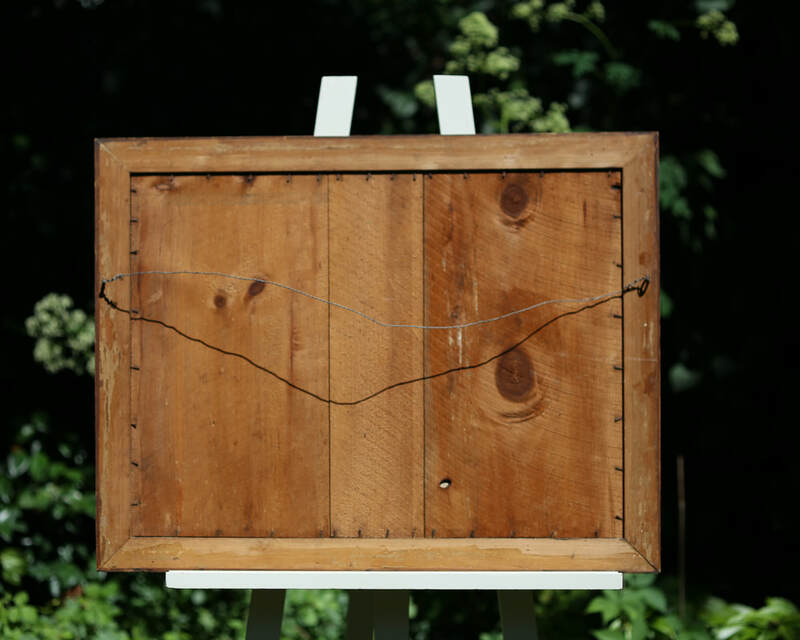 Cress moved to Seattle in the spring of 1912, where he worked as a local photographer who specialized in photographing the lumber industry for advertising and magazines articles. By this time Johns skill had increased significantly and his love of the forest drove him to capture full length imagery of Seattle's largest trees. His average picture of these giant tress, reaching sometime over two hundred and fifty feet high, were captured on albumen pages that averaged several feet in length. The pictures were hung in lumber supply houses as promotion of the logging industry. The beauty of the forest and nature attracted other photographers like Darius Kinsey. Cress's work can be found in the Library of Congress, University of Washington, and several museums as one of the photographic pioneers of the Northwest.